Our school has been given the opportunity to take part in a new project that is a Police Initiative and is supported by Bury Safeguarding Board. A nominated member of school staff, known as a Key Adult, will be trained to liaise with the police. At insert school name our Key Adult is Mr Griffith (Mrs Kenyon in his absence). They will be able to use information that has been shared with them, in confidence, to ensure that the school is able to support children and their families. Information will be shared where it is identified that a child or young person was present, witnessed or was involved in a domestic abuse incident. * Endorse the Encompass Model and support the Key Adults in our school to fulfil the requirements of the Bury Encompass Protocol. 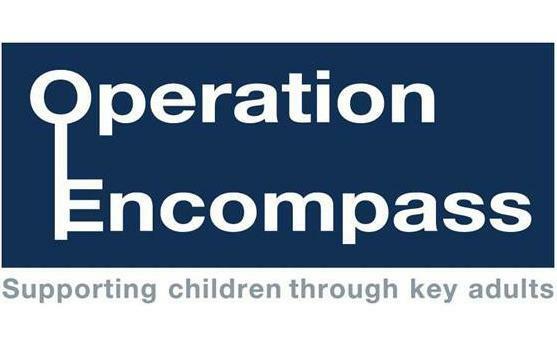 * Promote and implement Bury Encompass processes and use these in accordance with internal safeguarding children processes.